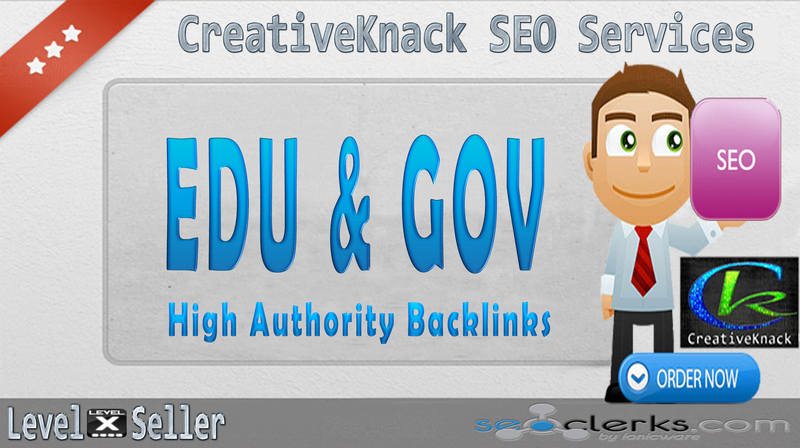 ★High quality .EDU/.GOV Authority Backlinks which will boost your website rank and SERP from Authority .EDU/.GOV site. .EDU/.GOV Backlinks have become a top-notch SEO service.These links have a high level of trust and relevancy, as they’re from .EDU/.GOV domains and are surrounded by high quality content.Along with building your brand’s authority in the market, links from .EDU/.GOV site are completely Penguin Safe. ✓Not all links will be anchor link.mix of anchor link and non anchor link. ✓Full Reports with live links will be Provided. 20+ .EDU/.GOV High Authority Backlinks only is ranked 5 out of 5. Based on 420 user reviews.